Cats are amazing animals. They have become one of the most popular pets because of their independent nature, playfulness, affectionate personalities, and low-maintenance lifestyle. ~ A group of kittens is called a kindle and a group of cats is called a clowder. ~ A female cat is called a queen and a male cat is called a tom. ~ The at of giving birth in a cat is called queening. ~ Just as a person has a dominant hand, a cat usually uses one front paw more than the other. This has been associated with gender in felines. Most female cats are right pawed, and most males are left pawed. ~ Cats have different nutrition requirements than dogs. Cats require some amino acids that are found only in meat. Dogs can be vegetarians, but not cats. Cats fed a dog food can become blind as a result of the nutritional deficiency, or can develop a severe heart disease called cardiomyopathy. The cat's weakest sense is taste. People have about 10,000 taste buds on their tongue, but cats have less than 500. A cat's fur is sensitive to air movement, with the whiskers being the most perceptive to the cat's movement. A blind cat will move its head side to side in order to use the whiskers similarly to the way in which a blind person uses a cane. The first know cat to be given a name, Bouhaki, appears in Egyptian drawings as early as 1950 B.C. In the 5th century B.B., as Persian soldiers attacked an Egyptian city, the soldiers carried live cats. The Egyptians chose to surrender rather than risk the lives of the beloved felines. 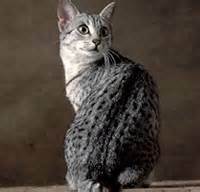 The Egyptian Mau, a short-haired, spotted cat, is one of the oldest cat breeds. The word "Mau" was the ancient Egyptian word for cat. It also meant "to see," or "to foretell." 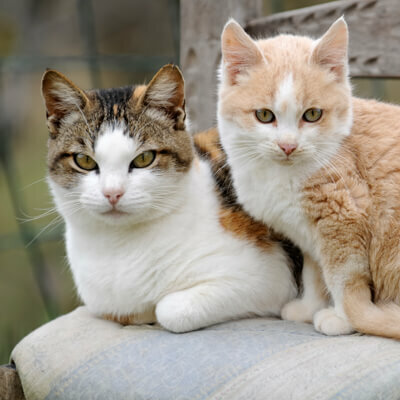 Cats are one of the most popular pets, as evidenced by the many YouTube videos! 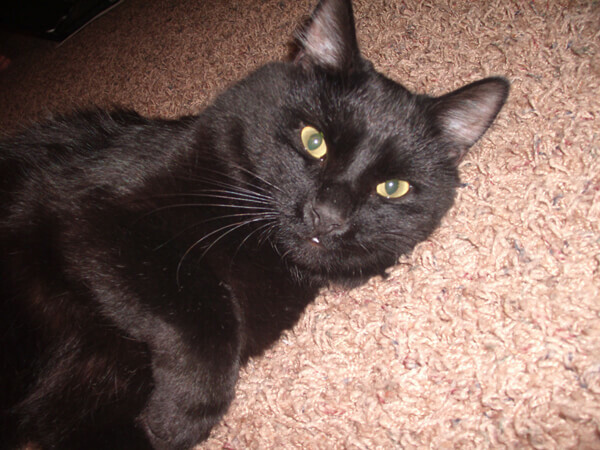 Visit our Fun Facts About Cats page for more interesting information about cats!